Discover our wide selection of classic and modern blinds! We always aim to ensure you are 100% satisfied with our service and products! Our expert will help you select the best design, size and color for your needs and décor. Get the best prices and discounts on the market when ordering from us! Our range has been carefully selected to feature the most attractive styles. We offer our customers a range of high quality blinds, shades and window covering solutions! Give your windows a classic appeal and tried-and-true functionality developed by one of history's largest empires. Click here to learn more about the different benefits of Roman shades. A great way to add both style and insulation to a room is to install cellular shades. These excellent window treatments have a lot more than light filtering to offer you. Learn more here. Looking for privacy without compromising on natural lighting? 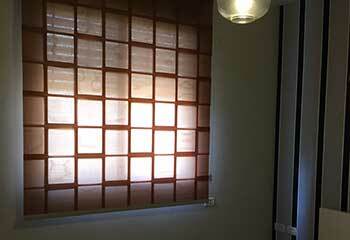 Then silhouette blinds might be the right choice for your building. Click here to find out more. This type of window treatment offers a real two-for-one type of deal as it offers both natural lighting and privacy. Click here to find out more about the different benefits of layered shades. The classic appeal of this type of window treatment makes roller blinds a very solid and affordable choice. They can be very durable and are available in a range of colors and styles. Learn more here. With these window treatments all you'll need to do is push a button and the room will either flood with light or blackout completely. Find out more about our motorized shades. If you want to add excellent light filtering and room darkening blinds to your business, our company has a wide range of products to offer you. 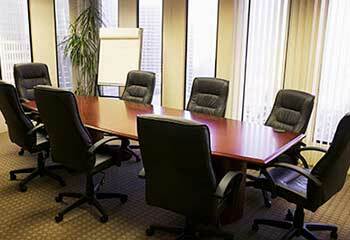 Our high quality office window treatments are hard to beat. Learn more here. With our selection of blinds and shades, you have complete control of your windows. Whether you're trying to redecorate your home, add an insulating effect, or improve the comfort and convenience of your home or office, our team at Santa Monica Blinds & Shades is here to provide you with the best option for your needs across the L.A county. One of the first decisions you should make when choosing new blinds and shades is that of aesthetic nature. You want your new window coverings to reflect the existing décor of your interior and our team is more than happy to help you with selecting the right pick for your ambiance. From picking the right color to stimulate your preferred mood to choosing the correct material for a complete look, they are here to provide you with answers. Maybe you're after a more productive atmosphere in your Culver City office or you're trying to achieve a cozy vibe in your Beverly Hills living room - either way, you will be guided through your options until you're fully satisfied with the decision. Our window treatments collection includes various models which are child-safe, energy-efficient and much more. Want to have control over your windows at your fingertips? Check out our line of motorized products. With remote-controlled blinds, you are not only adding security to your home, you're also maximizing convenience - especially if there are high-reaching windows in play. When it comes to high-quality blinds and shades, turn to no one else but us. 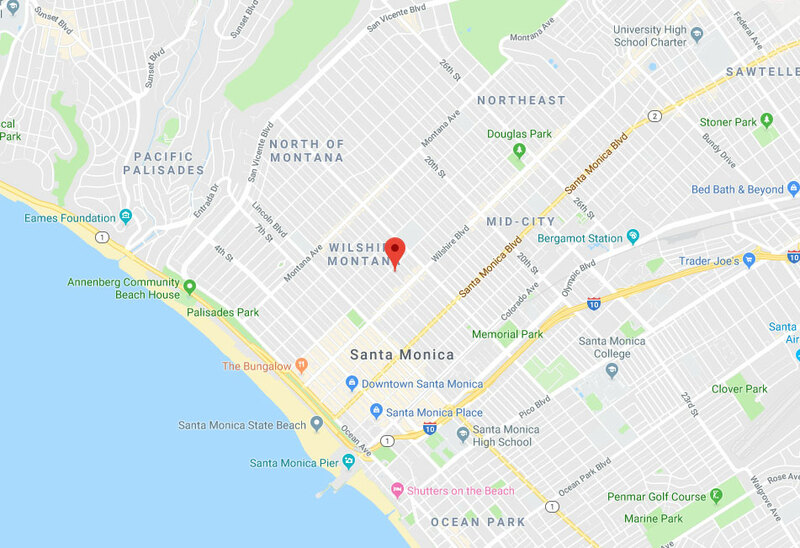 Santa Monica Blinds & Shades puts emphasis on customer satisfaction and offers full services in the local area, so that you're equipped with the best window coverings, whether you're situated in El Segundo or Inglewood. You can count on us to consult you with your best options, educate you on the features and benefits of their chosen coverings, and help with anything in between. When it comes to your home's comfort, privacy, and look, settle for nothing less than the best. If you're looking for custom blinds and shades but have no clue where to begin, call us to your assistance. Let us help you get the perfect style, color, and size you're after. Get in touch today and let us help you find the best solution for your home or office in West Hollywood, Lennox or anywhere nearby! 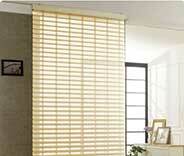 Great expertise and wide range of blind designs to suit all preferences. Perfect installation provided to you for free with your purchase. Huge collection of colors along with free color samples. Superior reputation for excellent customer service. Check out our latest projects to learn how our team helped these customers find custom made blinds for their properties. We were asked to install shades that will reduce the glare in this customer’s home office. Find out more. Our team installed vertical blinds in this customer's office building after helping him find window treatments that suited his budget. 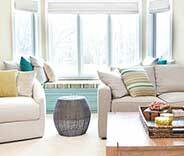 Looking for eco-friendly window treatments? Read to learn more about the bamboo blinds our team installed for this customer. Our team was able to install sophisticated drapes with a motorized track system in the customer's bedroom. Click here to learn more. Getting new blinds for my office was so easy with this company, I decided getting new ones for my house as well. My wife and I both agree – the quality is high, and the price is great! Thanks. Your website has such a wide selection of blinds, I was spoiled for choice! However, your specialist really helped me out during the consultation. The blinds arrived quickly, and the installation went smoothly as well. My living room looks fantastic, thank you! I’m so happy that I found your company! 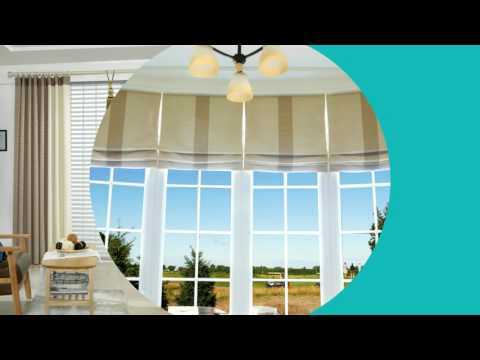 Your wide selection of blinds and helpful staff really made choosing my perfect blinds so easy! Thank you so much! Our products are custom-made to meet your exact specification. Whether you need high-quality window coverings for your home or your business, our team will help you choose the perfect ones. 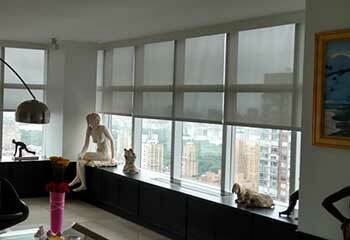 There's a wide range of options, from insulating cellular shades to motorized drapes. Schedule a free consultation online to meet with one of our experts who will answer all your questions. Thank you for choosing Santa Monica Blinds & Shades! Feel free to browse our website for more useful information until our appointment!